You're in the middle of the ocean, hundreds of miles from land when you see a boat in the distance. It's the first boat you've seen in weeks, and it's likely the last boat you'll see until the finish. You want to radio them to say hello but your crew mate is fast asleep after a tough 2 hours of rowing, and the VHF radio is in their cabin. You don't want to wake them. What do you do? When you are in range of another boat but the person in the stern cabin is resting. Becuase the fixed VHF unit is located in the stern cabin, you can use the handheld VHF to communicate with passing boats. If you loss all ship's power, the VHF antennas break or the fixed VHF system fails, use the handheld VHF as a backup. 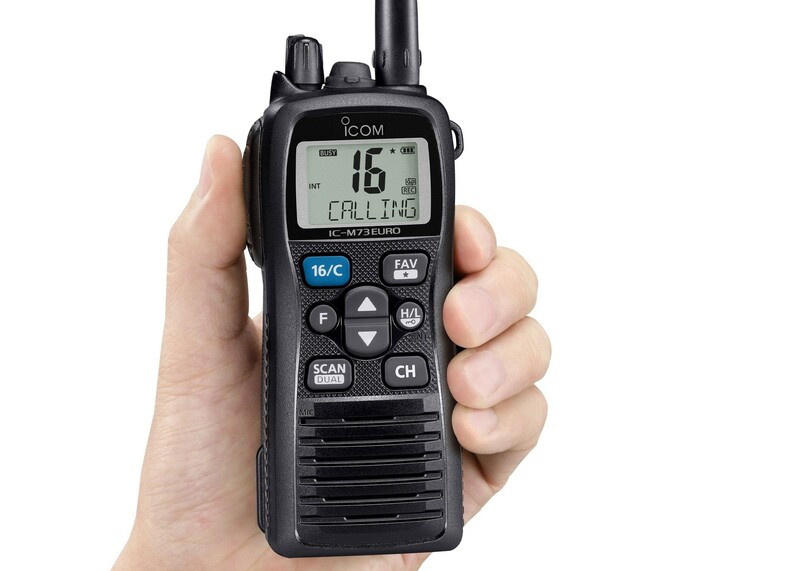 At Rannoch Adventure we recommend the Icom series of handhand VHF radios because they are among the most reliable and waterproof in the market. "When I last rowed across the Atlantic, I vividly remember wishing to hear someone's voice at the end of the VHF, to hear a stranger's voice for the first time in weeks. The other half of me then realised that if there were someone talking down the VHF it means there is a boat in range which could be on collision course. Luckily we only used the VHF 3 times over the entire crossing." You use your handheld unit exactly the same as you would your fixed unit, as instructed within your VHF Radio Course. CAN I BUY A SECOND HAND UNIT? It is possible to buy a good quality second-hand handheld VHF, however, at Rannoch Adventure we advise our customers to buy all safety-related equipment brand new to ensure they are 100% reliable. If you do buy a second-hand unit, ensure the batteries are replaced and it is fully tested prior to your crossing. Rannoch Adventure is the market leader in ocean rowing boats. We also provide onshore and offshore training, equipment advice, weather routing, race tactics and boat logistics. If you have any questions about a PLB or other equipment for ocean rowing, please get in touch with us via email on info@rannochadventure.com.